Woodgrove Centre is launching their second “LIVE FREE FOR A YEAR” campaign on September 13, 2014 at 11:00 am in centre court. “The response was so incredible last year, we wanted to give people another opportunity to enter for a chance to win,” shared Woodgrove Centre’s Marketing Director, Nola Dunn. Jody Critchlow of Qualicum Beach will speak at the Kick-Off to share how winning last year’s grand prize package has impacted her life. This year’s grand prize package is valued at $50,000 and is the largest that Woodgrove Centre has ever awarded. 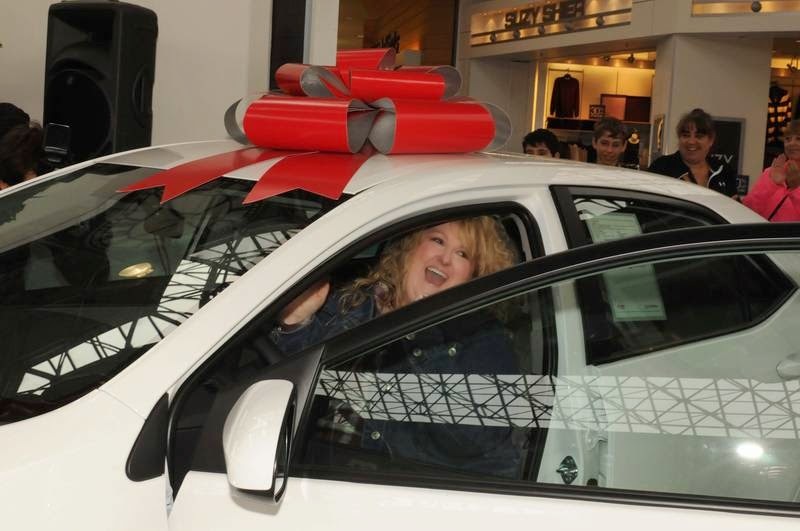 The package includes $25,000 in Woodgrove Centre gift cards, $15,000 cash, a one year lease of a 2015 Volkswagen Jetta and $5200 in grocery gift cards courtesy of Nanaimo Save On Foods stores. Three finalists will be drawn each week for four weeks and each will be awarded a $500 Woodgrove gift card. The twelve finalists will participate in the LIVE FREE FOR A YEAR Grand Finale Event at 1:00 pm on Saturday October 18 in centre court to determine the grand prize winner.